–Mars defeated Shaler 68-62. Andrew Recchia led the Planets with 27. 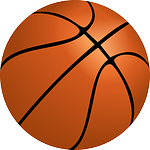 –The Mars 9th grade boys basketball team defeated Shaler 56-47. The Planets will host Butler Friday at 3:30pm. –Mars-70 Allderdice-47. Tai Johnson led the Planets with 21. The Freeport bowling teams swept St. Joseph’s 7-0. Mark Livingston led the Freeport boys with a 591 series and high game of 222. The Slippery Rock University men’s basketball team defeated Seton Hill 71-67 in overtime last night. It was the Rock’s fifth straight win. The Rock women lost for the first time in four games with a 73-65 decision to Seton Hill. Junior guard from Karns City LeeAnn Gibson had nine points for The Rock.